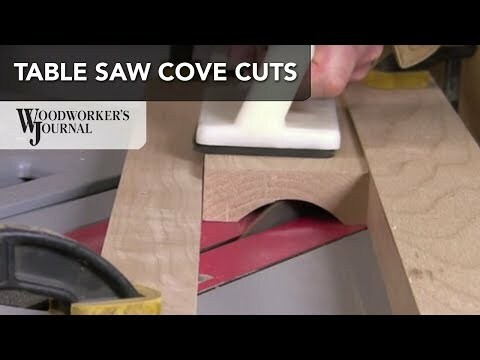 Learn how to make cove cuts with your table saw. Routers and shapers are the most common tools for creating molding, but you can also use your table saw to create molding pieces. Sandor Nagyszalanczy explains and demonstrates how to use your table saw to make cove cuts. without having to use a shaper or router.